We are a manufacturer who specialises in supplying Fire Shutters. A wide variety of shutters are available direct from us at unbeatable prices. 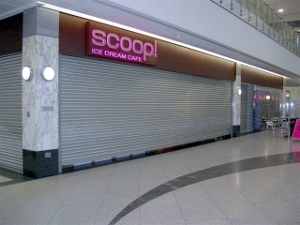 Our high quality Shutter products are used to protect Offices, Shops, Factories, Warehouses and other Public Buildings such as Hospitals, Clinics, Doctors Surgeries, Nurseries, Health Centres, Colleges, Schools, Universities, Libraries, Swimming Baths, Gyms, Recreation Centres, Sports Halls and Prisons. For further information we recommend our range of websites in the links to the right where you will find more information on our Shutters and other security products. Fire prevention is of supreme importance to individuals & protection of property both in new and existing locations. 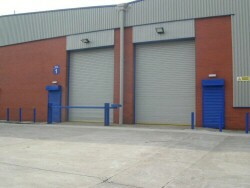 We have successfully tested the Westwood fire resistant shutter doors upto 240 minutes on units of up to 7000mm x 7000mm. These assessments were undertaken to conform to the requirements of BS 476 : Part 22 : 1987. Westwood Security Shutters Ltd are at the forefront of creating the highest standards in ensuring staff safety in the event of a fire. We have many satisfied customers in all parts of the region and our engineers cover the whole of Sheffield and surrounding areas. Our vast experience in the field of perimeter security and our intimate knowledge of customer needs, enables us to provide an unrivalled service to clients. The areas we cover locally are Barnsley, Baslow, Bawtry, Conisborough, Dinnington, Doncaster, Glossop, Holmfirth, Maltby, Pennistone, Retford, Rotherham, Stocksbridge and anywhere in the U.K. Please note that we now manufacture Single and Twin Skin Lath Fire Rated Roller Shutters tested to Exova Fire and Safety BSEN 1634-1 and providing up to 4 Hours of fire resistance. 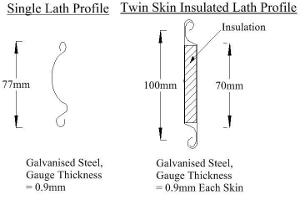 The Double Skin Insulated Lath offers additional heat radiation protection. As part of our ongoing commitment to provide clients with a complete range of security options, we are now able to offer Fire Curtains and Smoke Curtains. Please call for details. There are many companies supplying Fire Shutters in the UK today, but not all shutters are of the same quality. The Shutters from hindleygreenmotors.com are of the highest quality and you will not be disappointed. You can call us now for further information on 0114 3030183. 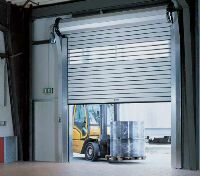 The shutters can be manually operated by hand, chain, or the ever popular electrical operation shutter, powered by a high quality tubular motor. Single or three phase operation. Our shutter lath can be produced in gauges 0.7mm (22swg), 0.9mm (20swg), as standard we would use 6mm thick steel supporting steels and brackets with 3mm thick rolled guide channels, steel endlocks to keep curtain in alignment. Shutters can be finished in powder coating to most BS & RAL numbers. Established in 1994, Westwood Security Roller Shutters Ltd have a vast number of satisfied clients nationwide. Our Shutters are manufactured by specialist teams in our own modern factory and head office in central Manchester and we have a very busy satellite base in Central London. Our engineers are based all around the UK and we offer a next-day service all areas of the UK. © 2019 Westwood Security Shutters Ltd.